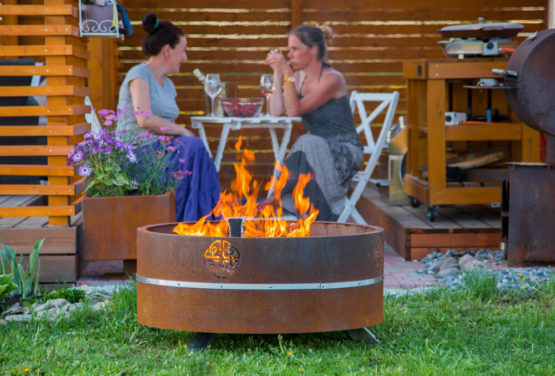 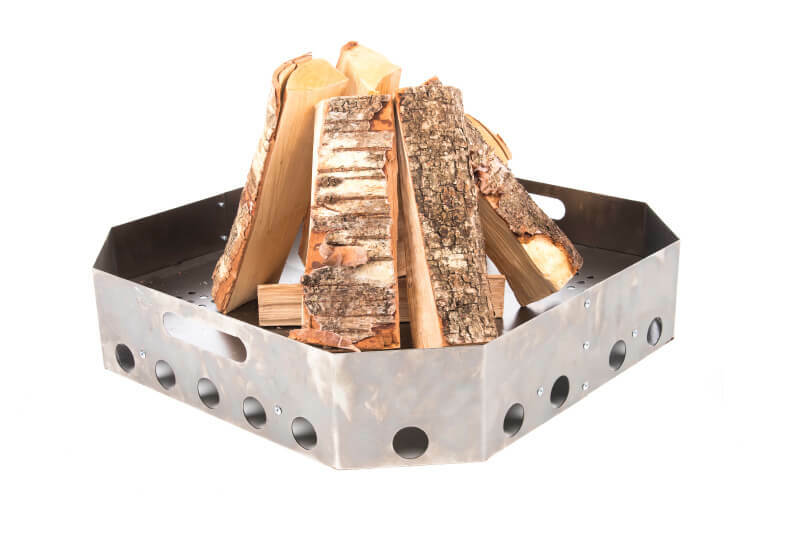 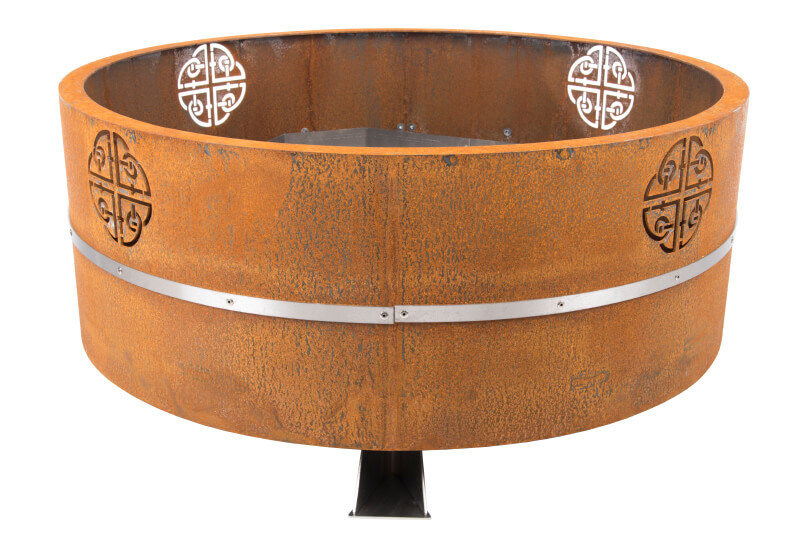 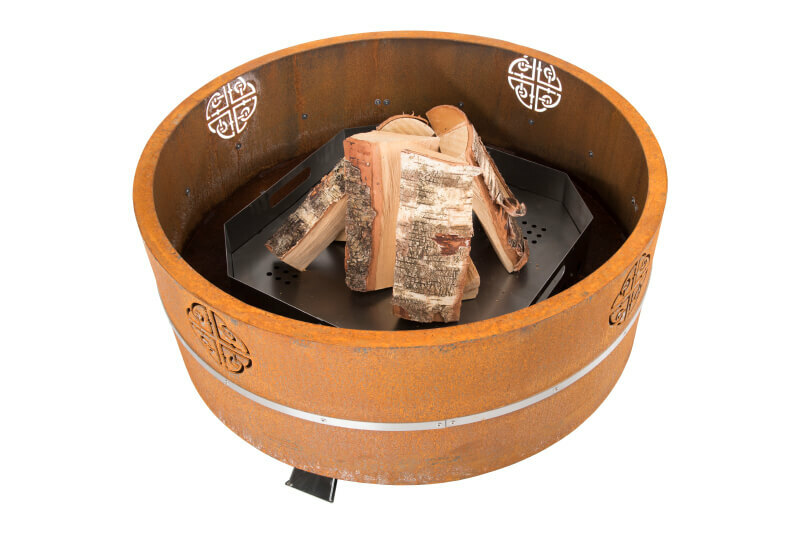 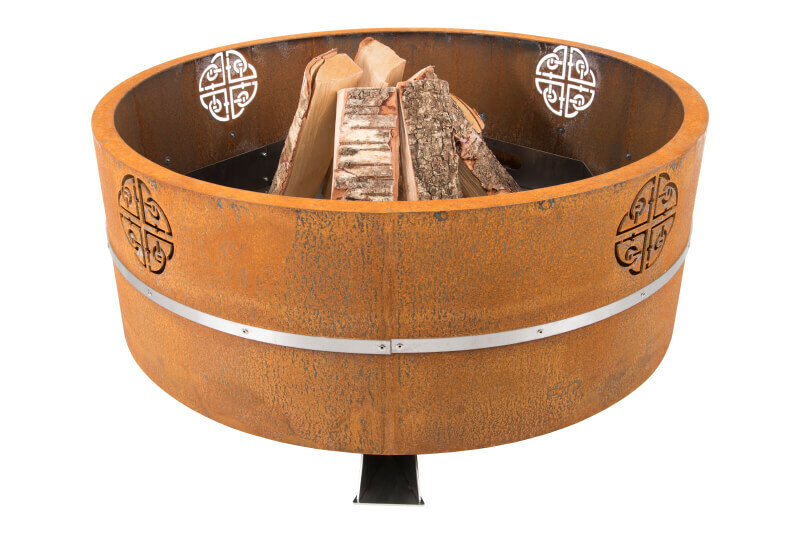 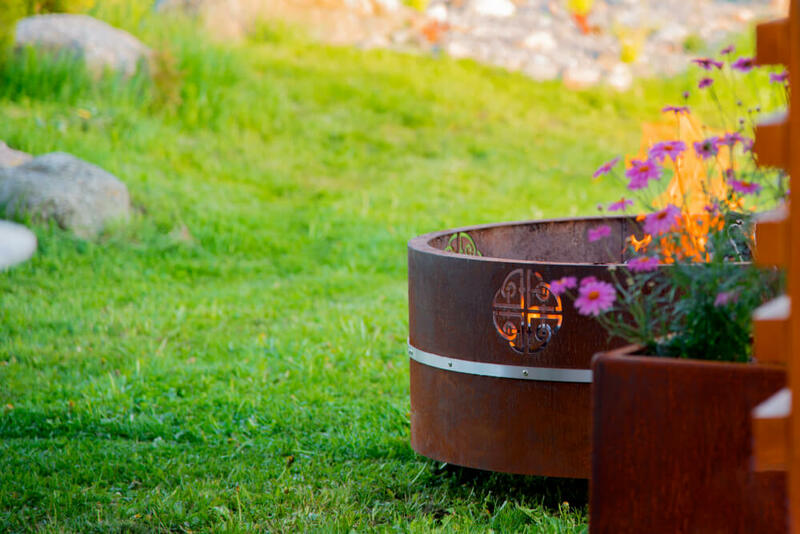 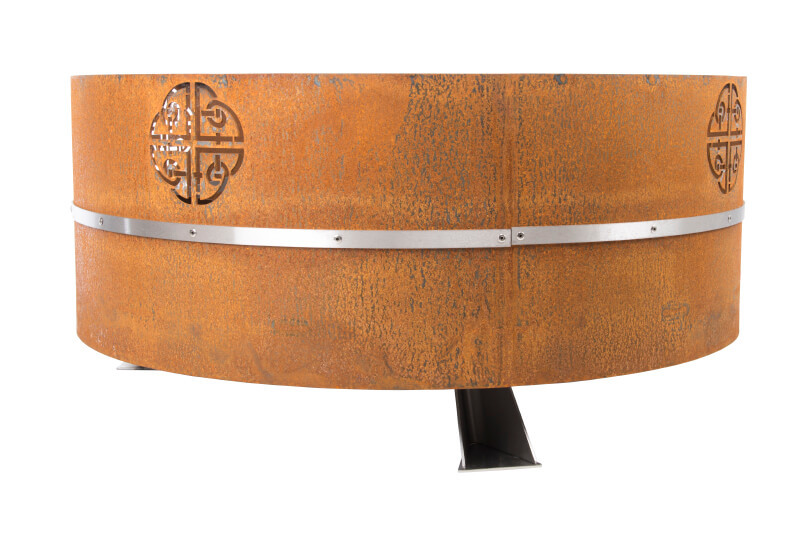 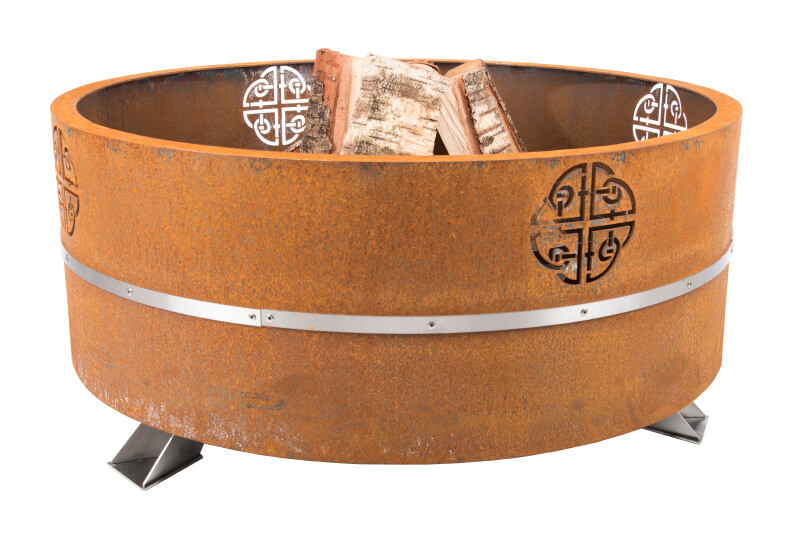 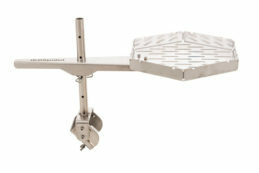 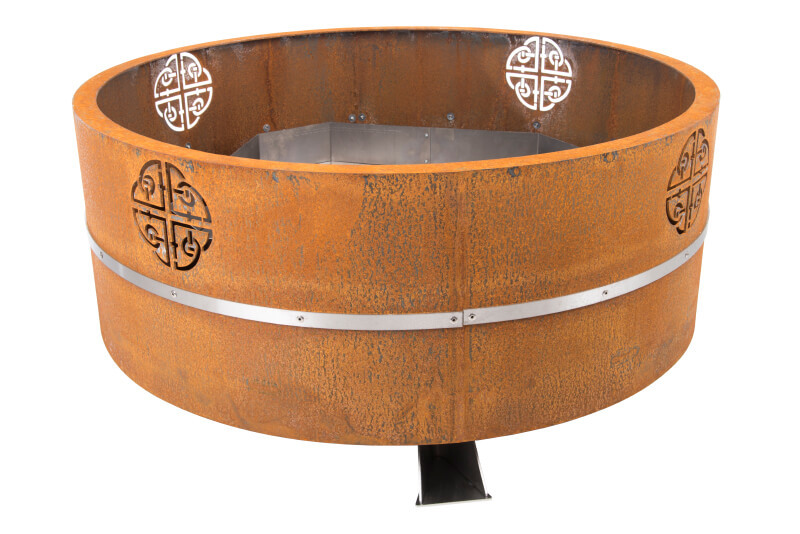 A product in our product range with the biggest fire pit. Made of Cor-Ten steal which is almost pure carbon steel but processed in order to have a protective layer on the surface to make it weather-proof. The surface is originally reddish-brown (resembles the colour of rusting), which becomes darker within time. If used properly, Cor-Ten steel is expressive, durable and maintenance-free and can stand time in its own peculiar way. 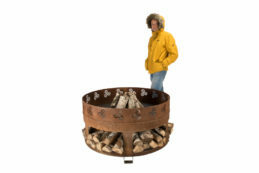 “Lucas” means “light” or “someone who brings light”. The outdoor wood burning fireplace “Lucas” is designed for a modern person to create unforgettable moments with family and friends. 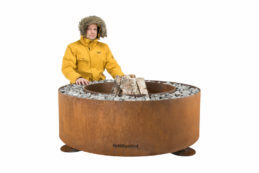 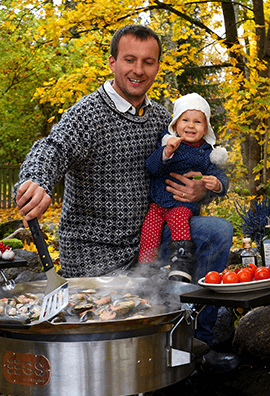 The outdoor wood burning fireplace pit is supported on the ground by three legs.